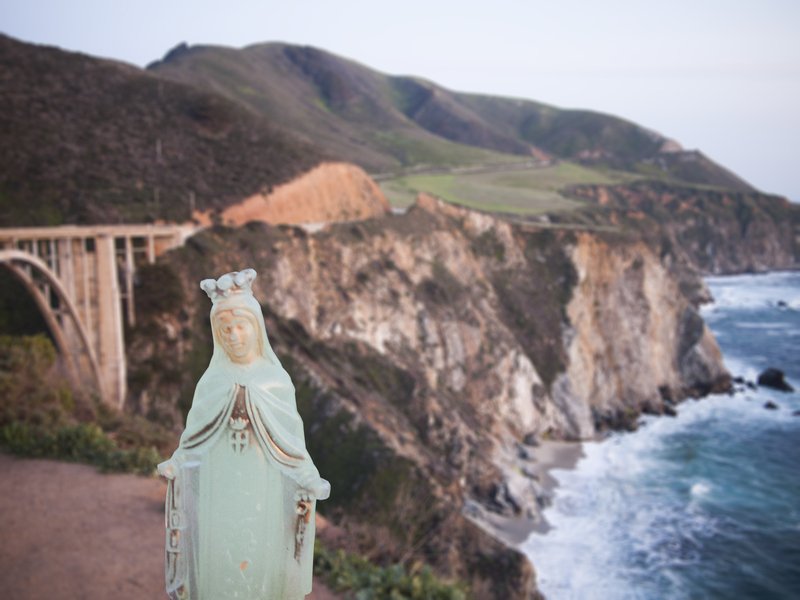 Iodophor Mary takes in the scenic view of Highway 1’s historic landmark Bixby Bridge, Big Sur, California, 28 April 2014. 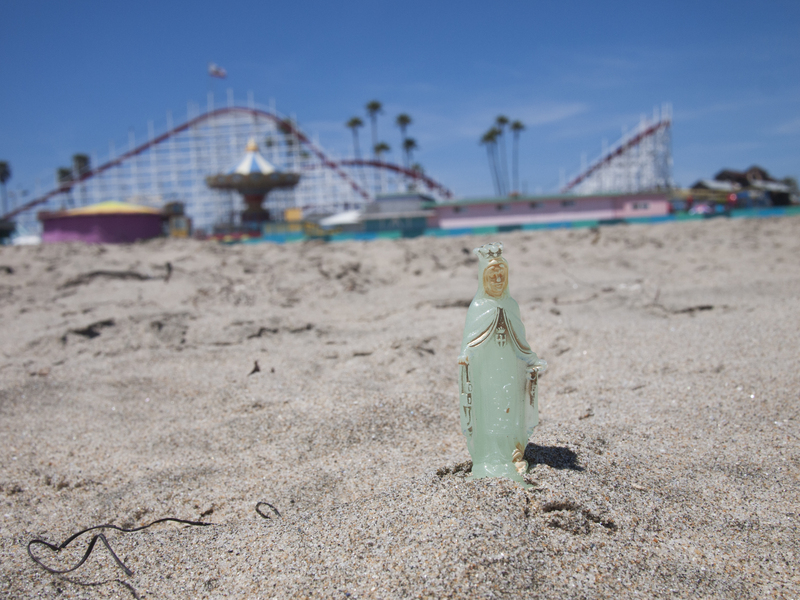 Our Lady of the Giant Dipper, Santa Cruz, California, 29 April 2014. 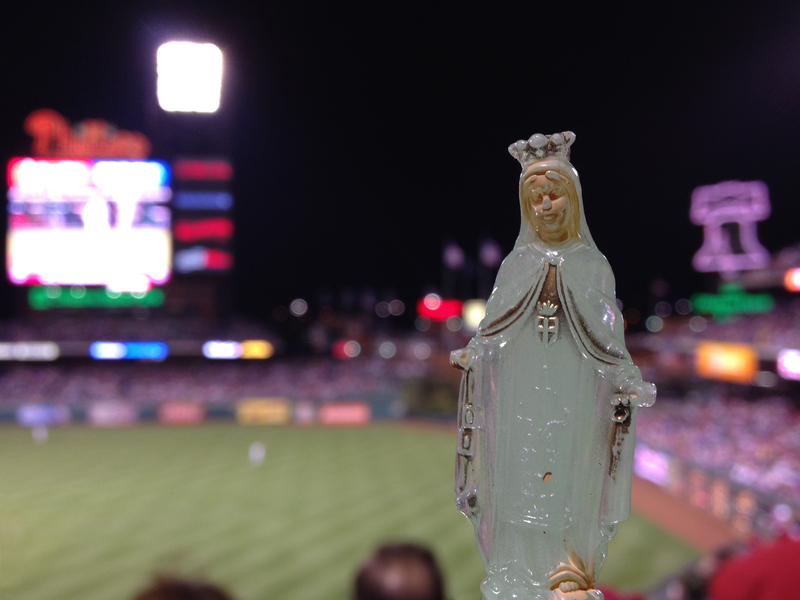 Not even the presence of Little Mary at Citizens Bank Park could keep the Phillies from being stomped by the Nationals, 02 May 2014. 05 May	This entry was published on May 5, 2014 at 8:51 am and is filed under Glow-in-the-Dark Mary, South Philly, Wanderlust. Bookmark the permalink. Follow any comments here with the RSS feed for this post.